Here are some web sites that you may also be interested in. If you would like to exchange links, please do not hesitate to contact me. 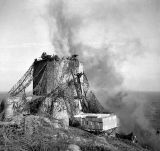 The Occupation Society was formed to study all aspects of the German military occupation of the British Channel Islands during the Second World War. The society organises guided tours, excursions and talks throughout the Islands and France. It also continues to build up an extensive sound documentary and photographic archive. 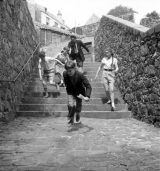 This YouTube link takes you to a clip of the beginning of 'Mystery On Bird Island' which was based in Alderney and Burhou, but parts were filmed in Guernsey as well.